6151 Portage Road, Kalamazoo, MI Coordinates Lat N 42:13':699" Lon W 85:33':456"
The Kalamazoo air zoo. The complex is two buildings. The main building has a more pristine, wide open and polished look, and is more targeted to families with children of all ages, the second, is behind the main parking lot and on the air field. it will appeal to the more serious airplane buff. It has an extensive collection of engines, and planes in excellent condition. As with all of these types of museums. because of the close packing of the aircraft a good photo is impossible. R-4360 WASP MAJOR Pratt & Whitney Corp. East Hartford, Conn. 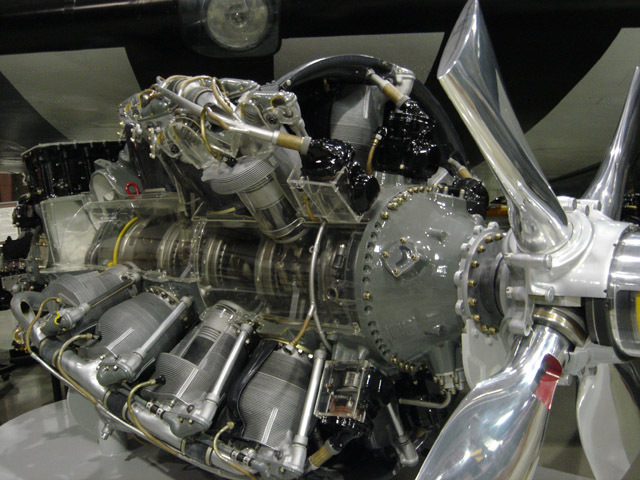 In 1940 the Pratt & Whitney Corp. started development of what would prove to be the largest, most complex, and most powerful aviation piston engine ever to reach production status, the R-4360 Wasp Major. 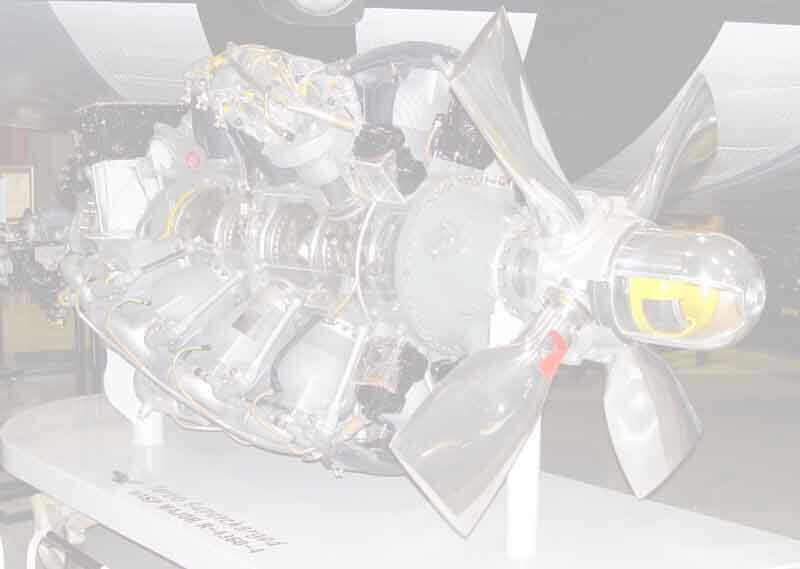 Designed to power the next generation of piston-engined aircraft that were then on the drawing boards, the advent of the jet engine meant the Wasp Major actually was installed in comparatively few production aircraft. These included the Boeing B-50 Superfortress, Convair B-36 Peacemaker, Martin AM-1 Mauler, Douglas C-124 Globemaster, and Boeing C-97 Stratocruiser. The Wasp Major was also used in a number of experimental aircraft that did not reach production status, such as the Republic XP-72, Goodyear F2G, and Northrup XB-35 Flying Wing. 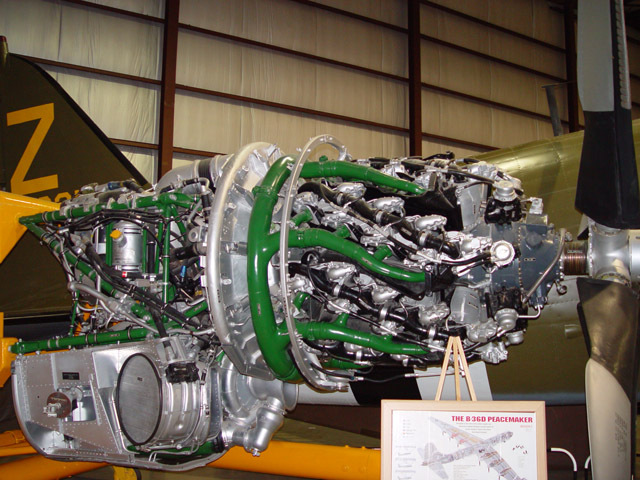 This is a B QEC (Quick Engine Change) unit for a Boeing - Superfortress designed to reduce the downtime needed It to was replace a bad engine on the B-50. THE PACKARD, LINCOLN & FORD COMPANIES, AND THE BUICK DIVISION OF THE GENERAL MOTORS CORP. The Liberty Engine was designed by Jesse Vincent of the Packard Co. and E.J. Hall of the Hall-Scott Engine Co. in a Washington, D.C. hotel suite between 30 May and 4 June, 1917 in an effort to provide a modern aircraft engine for the United States Army Air Service during World War I. It was designed to meet a wide range of wartime requirements with the intention of building versions with differing cylinder numbers. 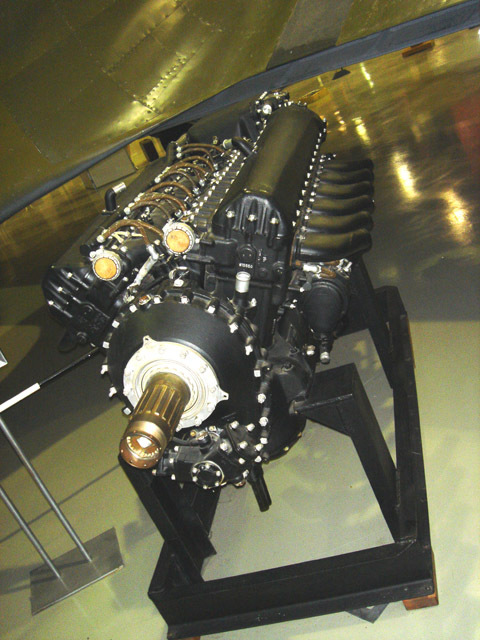 The first engine, a V- 8, was tested by 3 July 1917! The quality and dependability of the Liberty varied considerably depending on the maker--Packard being the worst and Lincoln being the best. Used also in cars and boats, the Liberty was also built in England in 1938 to be used in several types of British tanks! 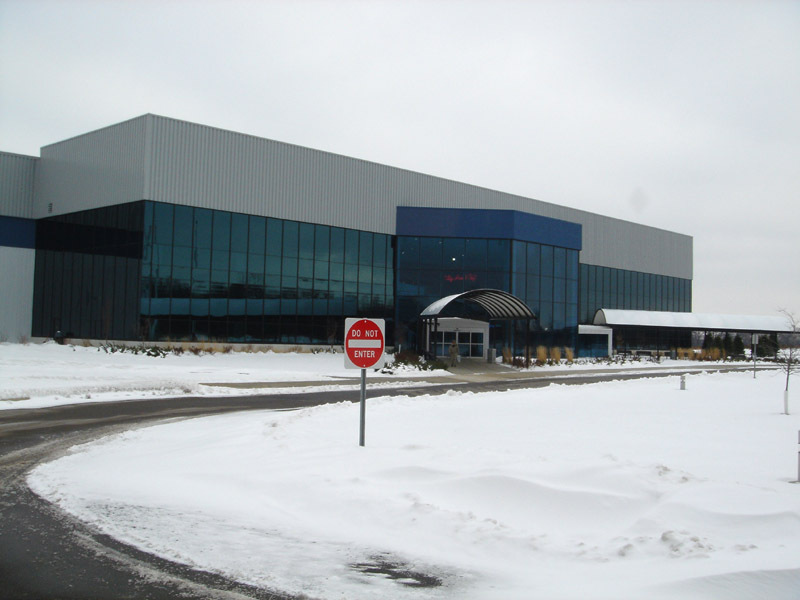 Packard Motor Car Company of Detroit, Michigan began aircraft engine production in 1915. During World War I, Packard had produced 6000 units of the famous V-12 Liberty engines. Packard began production of the Merlin in September 1940. under a British contract. 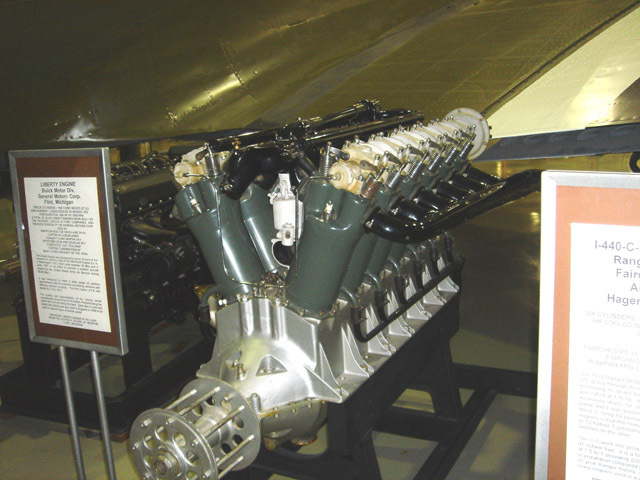 Continental Motors was a subcontractor to provide additional needed engines for the war time demands. The Muskegon company built 800 of the units making this example a very rare engine indeed! Other companies producing the Merlin were: Rolls Royce (150,000). U.S. Packard (54,700), and Australian Commonwealth Aircraft Corp. (100). 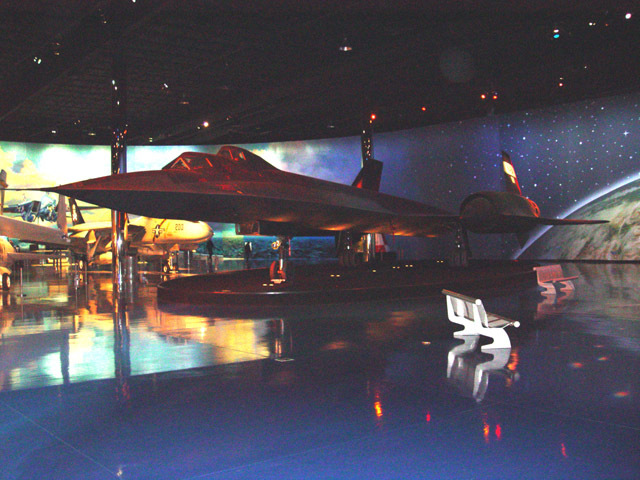 A very nice museum. the entrance is a little spendy at $20 / head adult to get in. In the main facility there are several rides to go on, which I would expect help offset some of the entrance fee. the Jet flight simulator is a 6 axis hydraulic simulation pod capable of rolls, dives, flips and any other aerial maneuvers. It is dizzying to say the least. 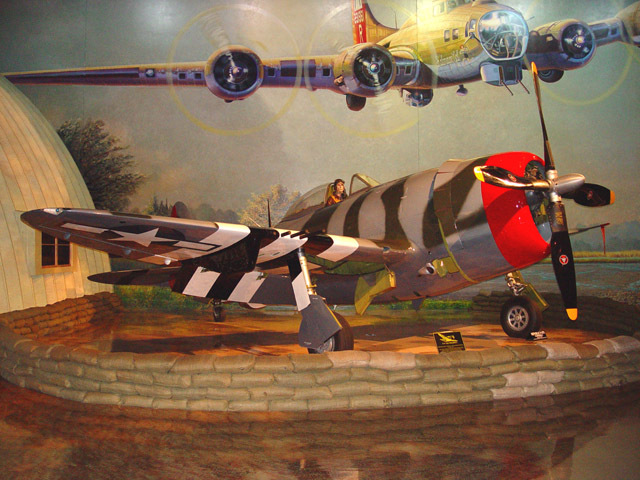 It would be nice if the Museum split the admission cost to 2 type, one to do the whole thing, and another just to see the aircraft in the hangar, near the air strip. If you have never been before, do it all !